If you want to engage in a soap business and make your business a success then you must know where you should start. You want to start a soap business but you are not sure where to begin? While establishing a business is not completely hard, it does really take time as well as careful preparation in order to make it successful in the future. Starting a soap business is just the same. If you have ideas and trainings on how to make soaps then you can turn this to a profitable business. You can also get some ideas from friends or family but remember to focus your soap business on your own decision only. Start out slow, do some research, and plan your business accordingly. When you have decided on what kind of soaps you will create then start buying ingredients and supplies from reliable manufacturers. 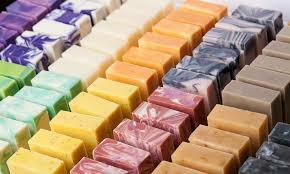 There are many different types of soap in the market today that are also good so how can yours be different? There is lots of handmade soap in the market today and each one offers the best so how can you find your niche? The best way to do this is by putting yourself in other people’s seat. Research online and track trends on soap. Study carefully your niche market so that you can analyze the potential of the products you are going to offer. Visit your nearest librarian for great tips on retail market forecasts that includes personal care. Then, test your market and get feedbacks from customers to be able to improve your business by improving your products. Compare prices, quality, and customer services of different manufacturers of supplies and ingredients you need for your products. There will be lots of manufacturers available but comparing their quality, prices, and customer service. Shop and buy only the things you are going to use for 1-2 months in your first few months. Invest on inventory programs that can help you in production planning. This will also eliminate the waste of overstocking of supplies. All your ideas must be put on paper. Write a business plan for your soap business. After you have completed it, review it carefully every 3 months to see whether your business should be redirected in some way. Then, acquire business insurance, state and city business license, trademark, and all necessary permit needed for your business. Check with your local government or small business organization on what licenses and permits are necessary for your soap business to be able to prevent any problems regarding the legalities in the future.